It’s back! This popular design from Varaluz’s past makes a modern and bright return. 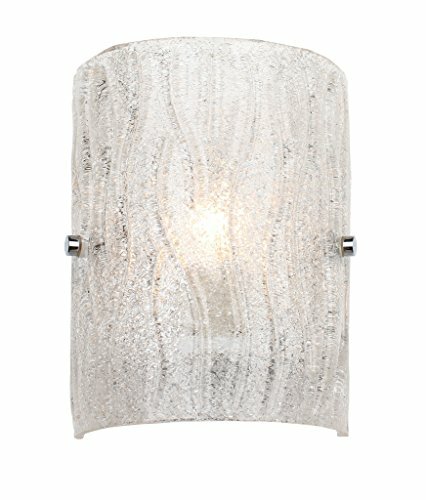 Named appropriately for its overall lighting effect, these fixtures marry crystally-cool ice glass, handmade Murano style with clear glass chips fused by heat on the back side, to clean and simple chromed metal work. If you have any questions about this product by Varaluz, contact us by completing and submitting the form below. If you are looking for a specif part number, please include it with your message.